The top shows the notification. The Bottom is how you subscribe. These updates will be available via your WP-Admin, and as always, please let me know if you have any issues. 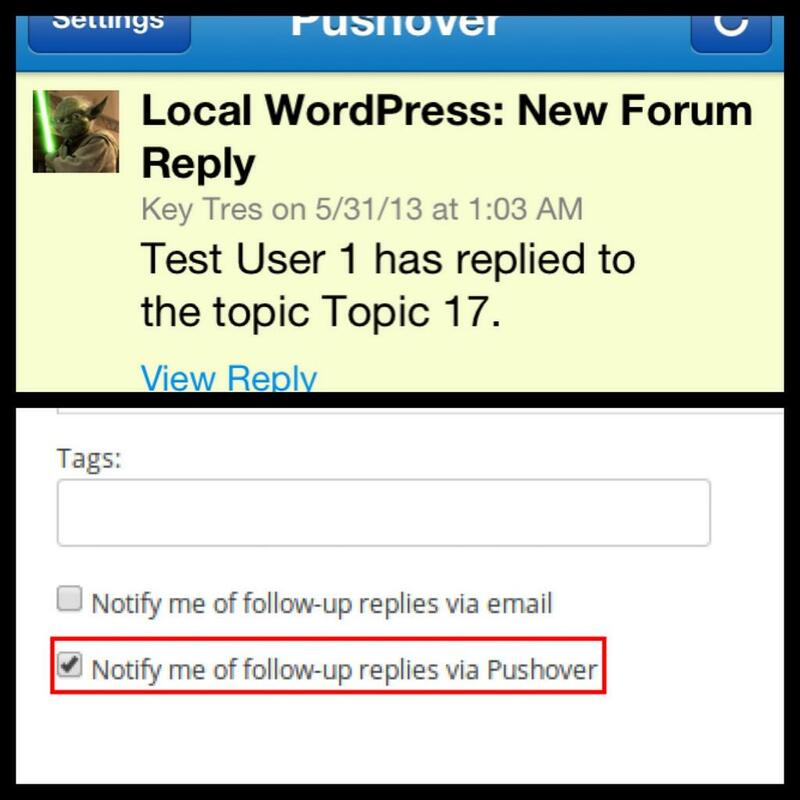 You can get bbPress push notifications with Pushover Notifications for bbPress.